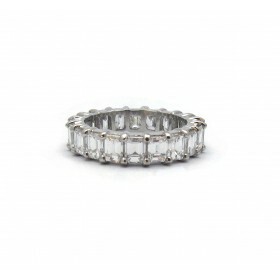 This eternity band features over 5 1/2ct of emerald cut diamonds in an elegent bar set mounting. Each diamond is prominently displayed and securely held in place with low profile platinum bars. 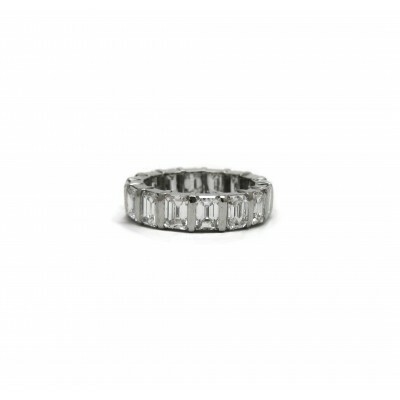 Perfect for an anniversary gift.